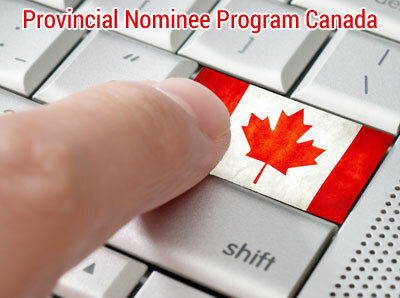 Provincial Nominee Program Adventure Immigration Services Inc. Provincial Nominee Program is another important fast-track option for Canadian Permanent Residency. Most provinces and territories in Canada have an agreement with the Government of Canada that lets them nominate immigrants who want to settle there. In many cases, you must apply directly to a province or territory to be considered under its Provincial Nominee Program (PNP). Find out more about Express Entry for skilled immigrants, including those nominated under certain streams of the PNP. Technical job and skilled trade (NOC skill type B). This test will show if your ability to listen, speak, read and write in English or French meets a minimum standard. Check the websites below to learn about the standard for your chosen province or territory. Test results are usually valid for two years from the day you take the test. You must apply in two stages. if you really plan to live there. The criteria vary and can change without notice. You should visit one of the websites below for the most current information. After a province or territory nominates you, you must apply to Citizenship and Immigration Canada (CIC) for permanent residence. A CIC officer will assess your application based on Canadian rules.As part of the process, you will have to pass a medical exam and get a police certificate (police check). All immigrants must have these checks, no matter where they plan to live in Canada.